We’ve found great deals at 174 hotels! 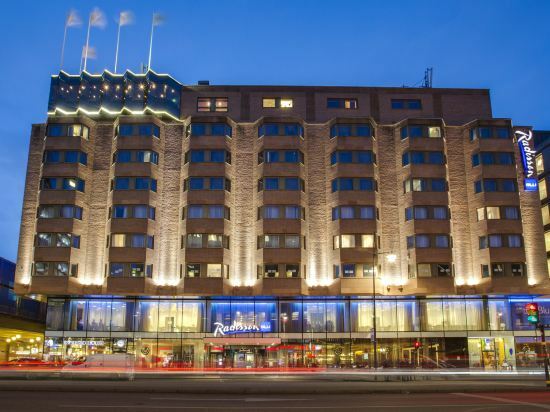 With a stay at Radisson Blu Royal Viking Hotel, Stockholm, you'll be centrally located in Stockholm, steps from Klara Kyrka and minutes from Stockholm Waterfront Congress Centre. This 4.5-star hotel is within close proximity of Oscar Theatre and Casino Cosmopol Stockholm. Make yourself at home in one of the 459 air-conditioned rooms featuring refrigerators and minibars. 42-inch LED televisions with cable programming provide entertainment, while complimentary wireless Internet access keeps you connected. Bathrooms have complimentary toiletries and hair dryers. Conveniences include phones, as well as laptop-compatible safes and desks. Enjoy a range of recreational amenities, including an indoor pool, a spa tub, and a sauna. Additional amenities include complimentary wireless Internet access, a television in the lobby, and tour/ticket assistance. 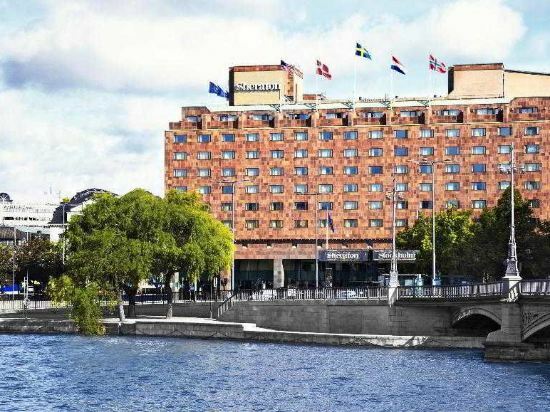 With a stay at Radisson Blu Waterfront Hotel, you'll be centrally located in Stockholm, steps from Stockholm Waterfront Congress Centre and minutes from Klara Kyrka. This 4-star hotel is within close proximity of Stockholm City Hall and Casino Cosmopol Stockholm. Make yourself at home in one of the 414 air-conditioned rooms featuring minibars and LCD televisions. Complimentary wired and wireless Internet access keeps you connected, and pay movies provides entertainment. Bathrooms have bathtubs or showers and hair dryers. Conveniences include phones, as well as laptop-compatible safes and desks. Be sure to enjoy recreational amenities including a 24-hour health club and a 24-hour fitness center. This hotel also features complimentary wireless Internet access, a fireplace in the lobby, and a television in the lobby. Featured amenities include complimentary high-speed (wired) Internet access, a business center, and express check-in. Event facilities at this hotel consist of a conference center, conference space, and meeting rooms. Self parking (subject to charges) is available onsite. Sheraton Stockholm Hotel is in the heart of Stockholm, walking distance from Klara Kyrka and Swedish Parliament. This 5-star hotel is within close proximity of House of Nobility and Gustav Adolf Square. Make yourself at home in one of the 465 air-conditioned rooms featuring minibars. Satellite television is provided for your entertainment. Private bathrooms with shower/tub combinations feature complimentary toiletries and hair dryers. Conveniences include phones, as well as safes and desks. Treat yourself with body treatments and facials. If you're looking for recreational opportunities, you'll find a sauna and a fitness center. This hotel also features wireless Internet access (surcharge), shopping on site, and wedding services. Featured amenities include a business center, a computer station, and dry cleaning/laundry services. Planning an event in Stockholm? This hotel has 269 square feet (25-376 square meters) of space consisting of a conference center, conference space, and meeting rooms. Self parking (subject to charges) is available onsite. A stay at Omena Hotel Stockholm places you in the heart of Stockholm, walking distance from Norra Bantorget and Casino Cosmopol Stockholm. This family-friendly hotel is within close proximity of Oscar Theatre and Tegnerlunden Park. Make yourself at home in one of the 251 guestrooms featuring refrigerators and microwaves. Complimentary wireless Internet access keeps you connected, and flat-screen televisions are provided for your entertainment. Bathrooms have showers and hair dryers. Conveniences include coffee/tea makers, and rollaway/extra beds can be requested. Enjoy a satisfying meal at a restaurant serving guests of Omena Hotel Stockholm. 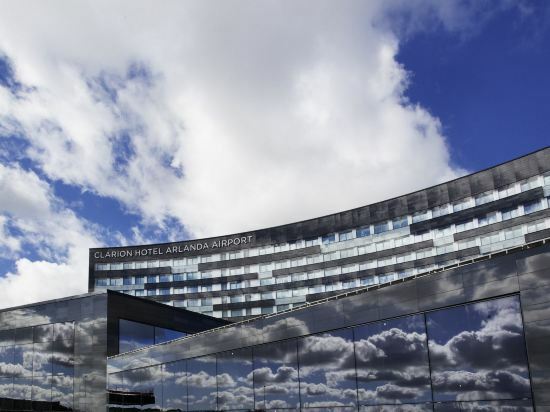 Clarion Hotel Arlanda Airport Stockholm is situated next to Arlanda Airport’s SkyCity, between Terminals 4 and 5. It features a sky bar and restaurant on the 12th-floor and rooms with free WiFi access and views of the runways. Bright décor, contemporary furnishings and wooden floors decorate each room at Clarion Hotel Arlanda Airport. All offer a flat-screen satellite TV, work desk and fresh, tiled bathroom with a hairdryer. Guests can enjoy a drink at 2 different bars in the hotel, Living Room and Sky Bar. The à la carte Restaurant Kitchen & Table, by Marcus Samuelsson, and the Sky Bar feature panoramic views of the airplanes taking off and landing. Clarion Hotel Arlanda’s breakfast is available from 05:00, while a simple breakfast can also be arranged on request from 04:00 in Living Room. A guest computer is available, as well as a relaxation area with a gym and sauna. Bookable facilities include an outdoor swimming pool. There are many discounted hotels on Trip.com. Book hotels in Stockholm via the Trip.com website or app, it's easy and hassle-free. Located in Sweden, Stockholm is a well-known and vibrant city. You can stay 3-5 days at hotels in Stockholm without running out of things to do. For those traveling for business and tourism, Arlanda Airport is the preferred choice when visiting Stockholm. If you don't want to take a flight, coming to Stockholm by train is a good choice as well. You don't have to worry about accommodations when traveling to Stockholm. Here, there are more than 180 hotels for you to choose from. Stockholm has high quality and low-priced hotels. You can spend one night at a nice hotel for only 147 USD. There are 7 five-star hotels in Stockholm at an average price of 357 USD per night. There are 64 four-star hotels in Stockholm at an average price of 198 USD per night. There are 46 three-star hotels in Stockholm at an average price of 127 USD per night. There are 22 two-star hotels in Stockholm at an average price of 55 USD per night. As a popular tourist city, Stockholm has many renowned chain hotels. In Stockholm, chain hotels such as Ibis are one of the top choices among travelers. If the comfort level of your trip is important, there are many choices in Stockholm, such as hotels under the Ibis brand. 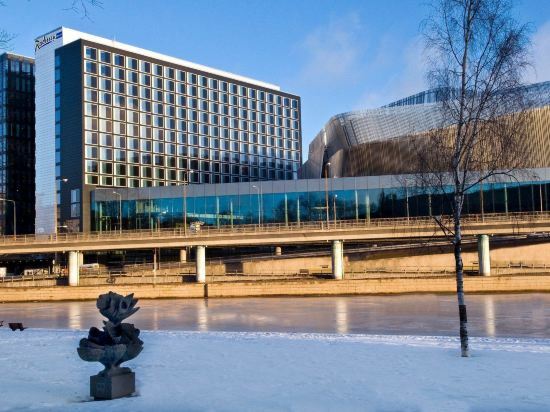 A popular hotel in Stockholm, Hilton Stockholm Slussen Hotel is also one of the highest rated. Many tourists also stay at Courtyard by Marriott Stockholm Kungsholmen. In the city center of Stockholm, you'll have easy access to Nobel's House, King's Garden, Kungliga Slottet. 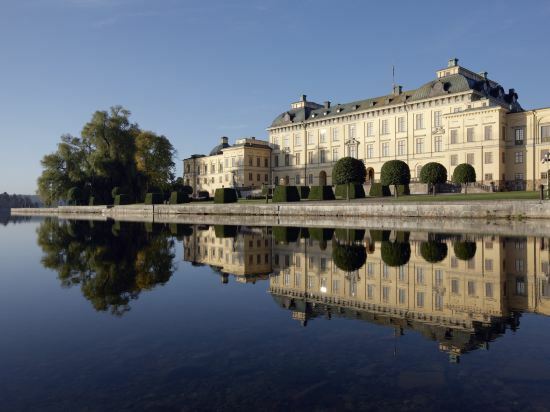 If you want to spend a fun vacation with your family, locals recommend visiting Kina Slott, Sigtuna, Kista. You can also visit top-rated attractions like Drottninggatan, Stockholm Stadshuset, Silja Line. Upon departure, you can head to popular commercial areas like NK Stockholm, Nordiska Kompaniet, ikea to buy souvenirs or travel accessories. 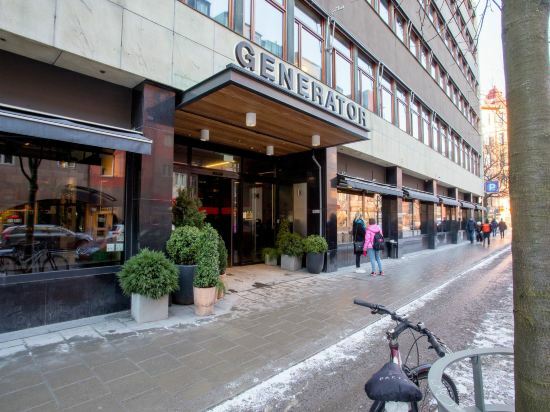 Stockholm hotel information & deal: Check out room rates, photos, a map and reviews of hotels in Stockholm and find the best deals on Stockholm hotels. Trip.com offers big savings on online reservations for Stockholm accommodation. Book Stockholm vacation packages and Stockholm tours with huge discounts on Trip.com!